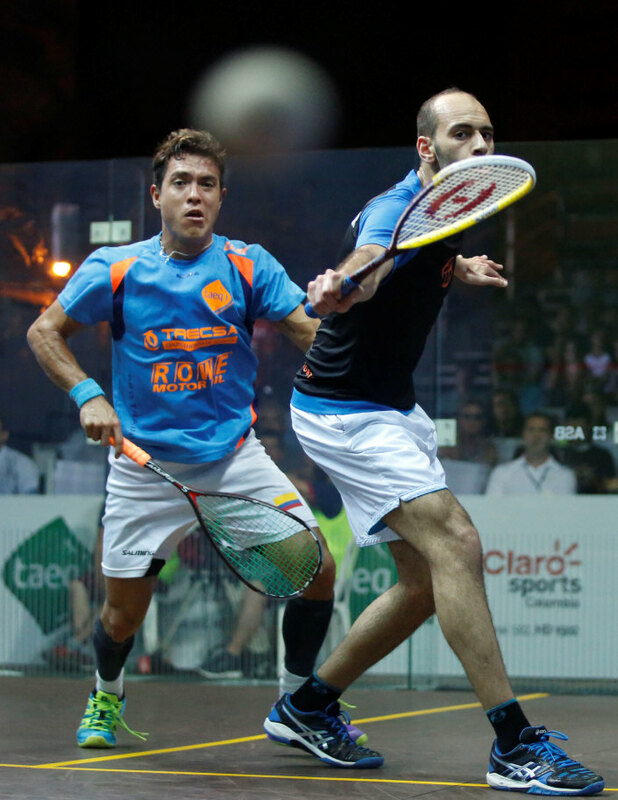 Top seed Mohamed Elshorbagy claimed the title in the most lucrative tournament ever held in South America as he beat fellow Egyptian Omar Mosaad, the second seed, in a four game final in Cartagena. 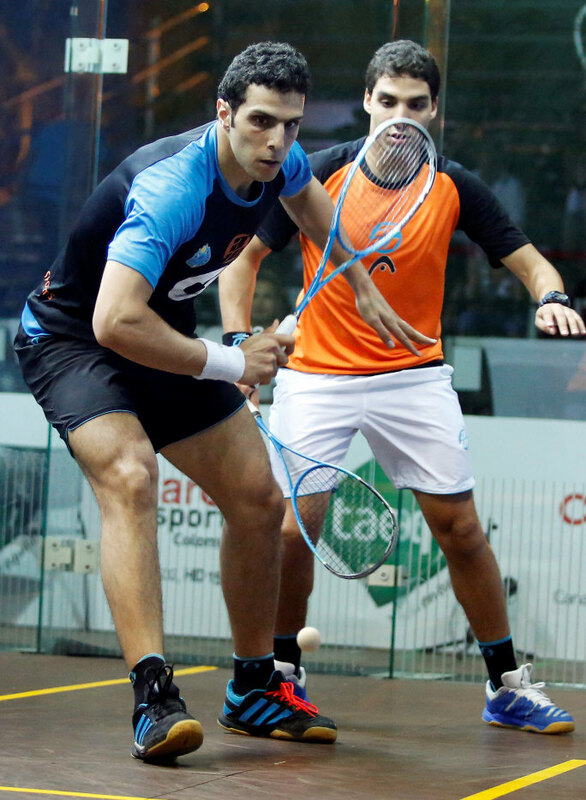 The first wo games were shared before the World #1 dominated the third and recovered from 4-7 down in the fourth to claim the title. 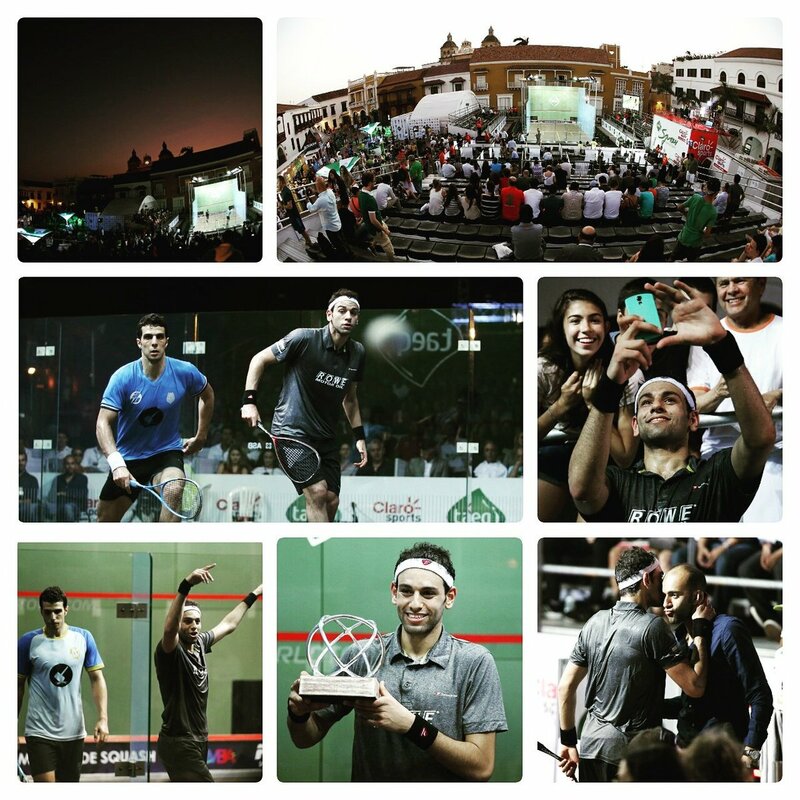 "I want to congratulate Omar and his team for an amazing week," said Elshorbagy. "He has been having such a great season, he absolutely deserves to be where he is in the rankings right now and I look forward to more great matches with him in the future. 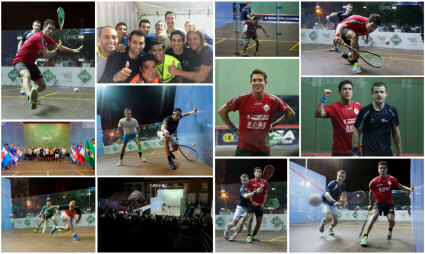 "This is by far the best tournament I’ve played in my life. I’ve absolutely loved it." The victory marks Elshorbagy's 19th PSA title, and his second of the year. It will be top seeds Mohamed Elshorbagy and Omar Mosaad who contest the final of the SquashColombia Open after they won their all-Egyptian semi-finals in Cartagena. 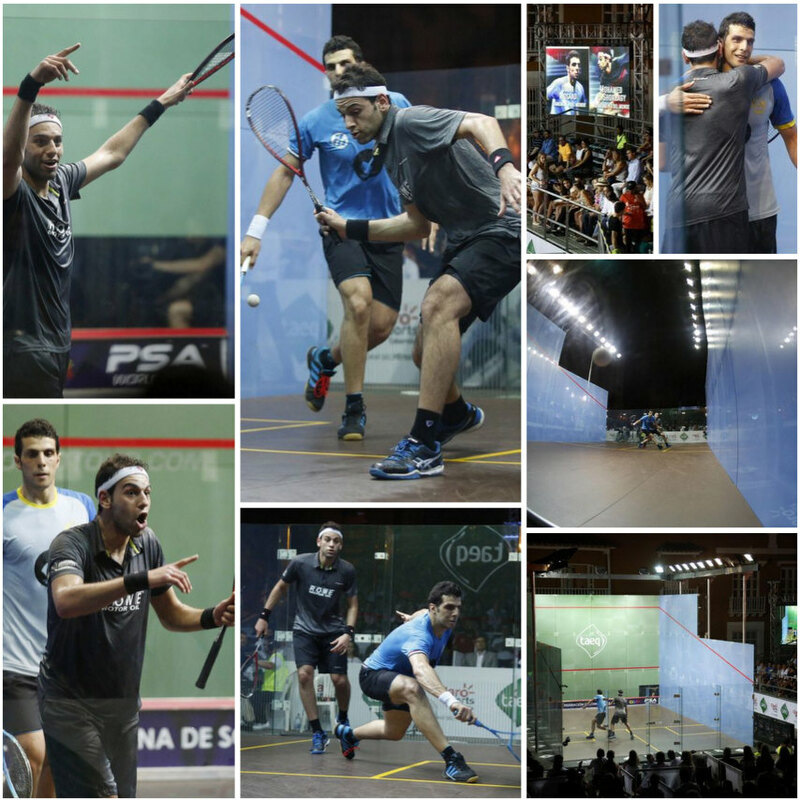 World #1 Elshorbagy faced his younger brother Marwan, coming through with a four-game win after an hour's play. 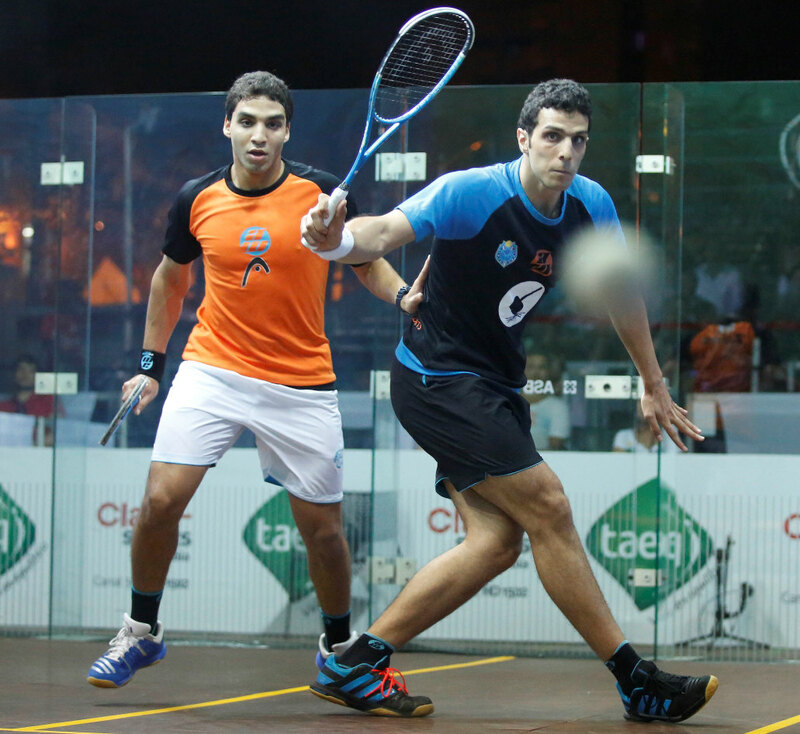 "The hardest person I can play is my brother," said Mohamed. 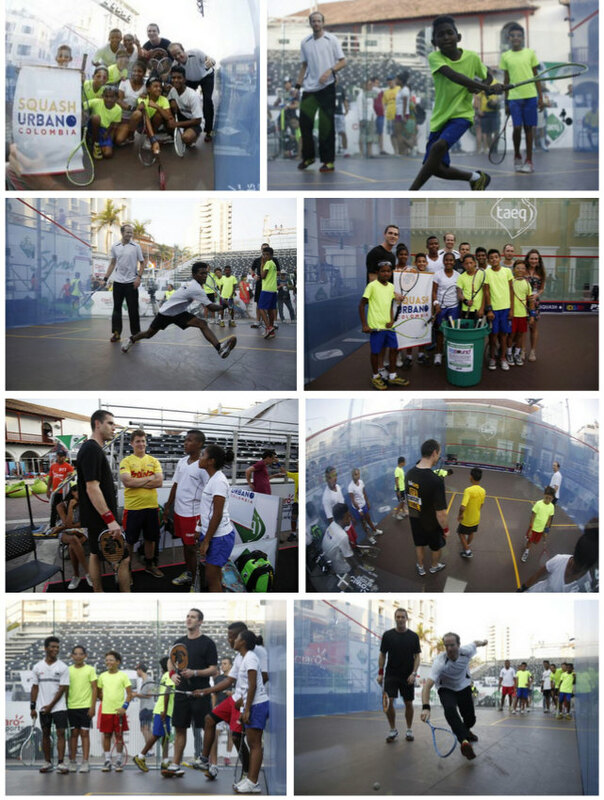 "Today we had to play against each other which was so difficult. Trying to beat my brother is emotionally difficult and it takes so much out of both of us. 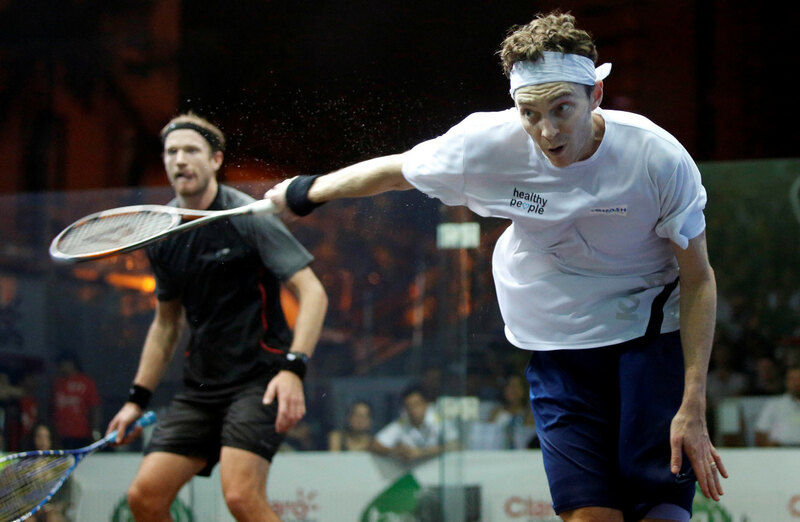 I thought he played so well, it’s the best he has ever played against me." 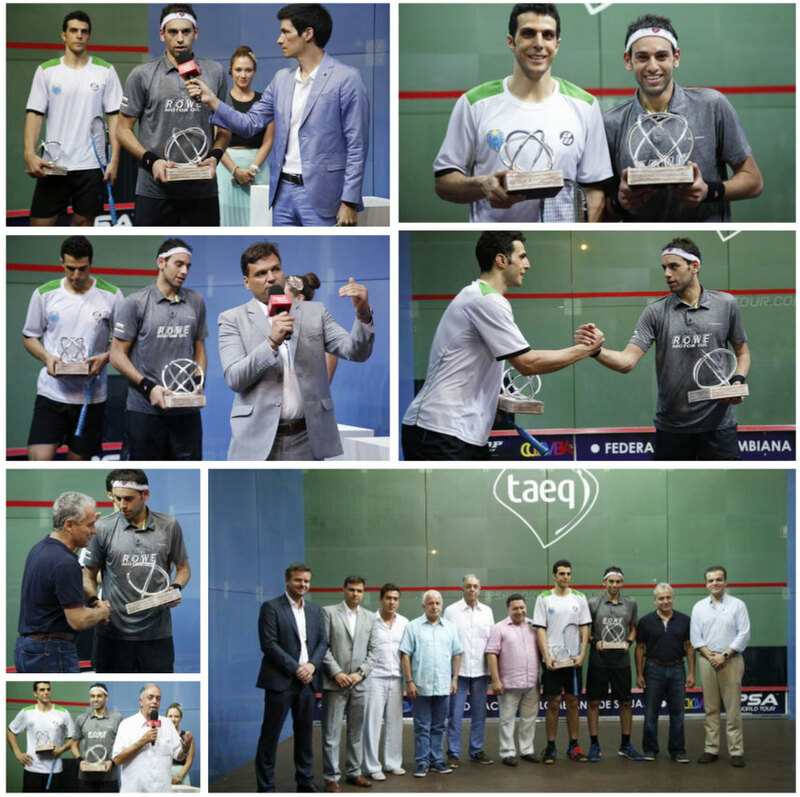 Mosaad, playing Tarek Momen in a repeat of their World semi-final of last year, had to fight back from two games down, finally prevailing in just short of 100 minutes. 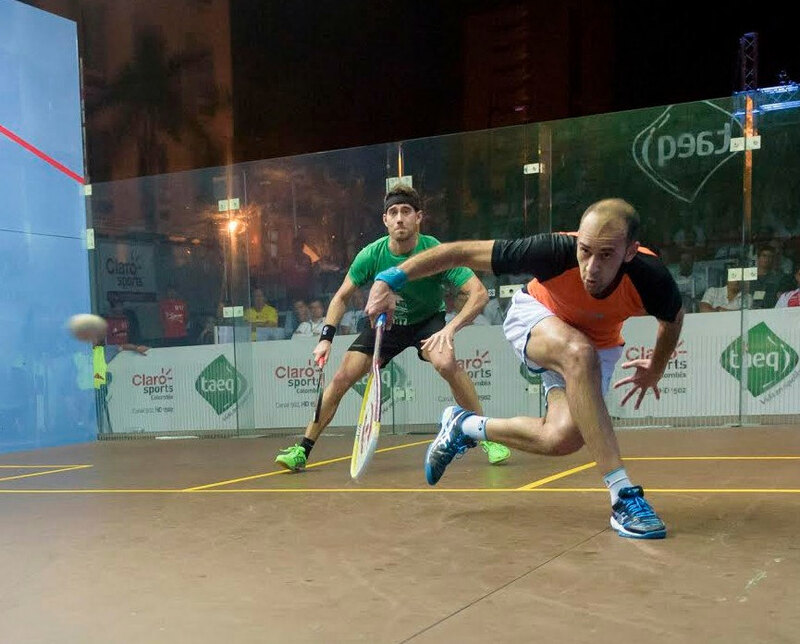 "This is the third time I have played Tarek in the last year," said Mosaad. 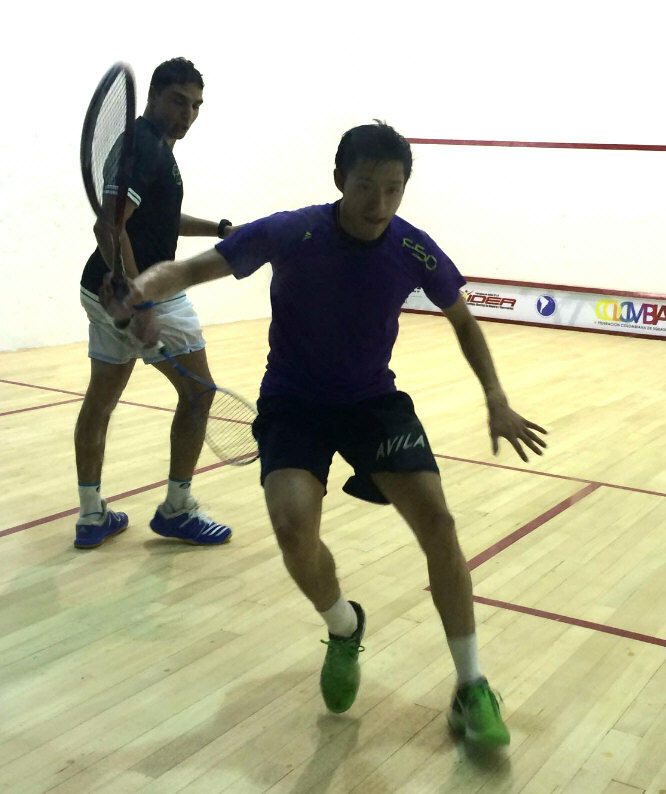 "He played really well in the first two games and I thought that the match would be ending soon but in the third game I started to play well. 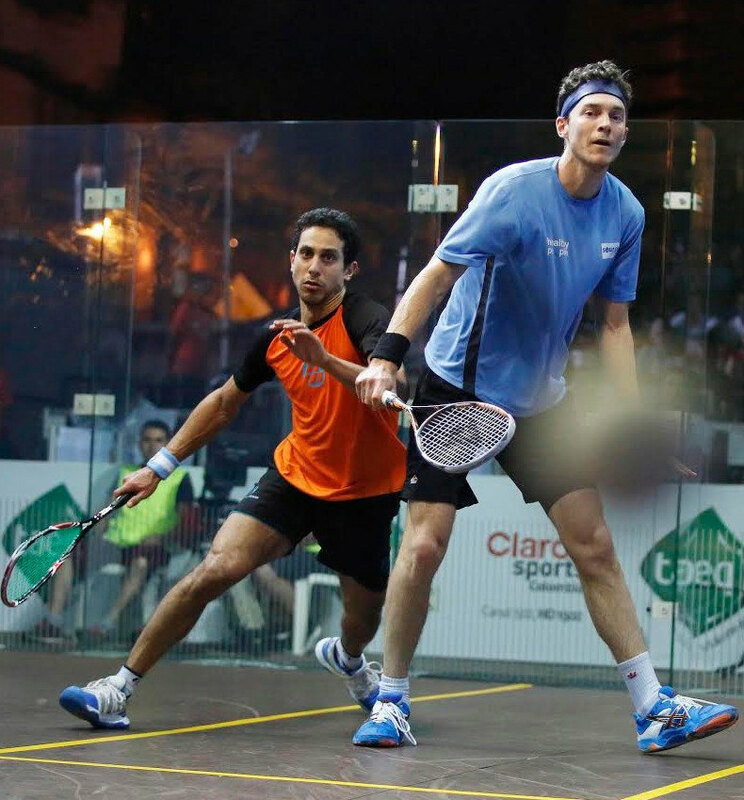 "I changed my style and my tactics a little bit and it worked in the third and fourth games. 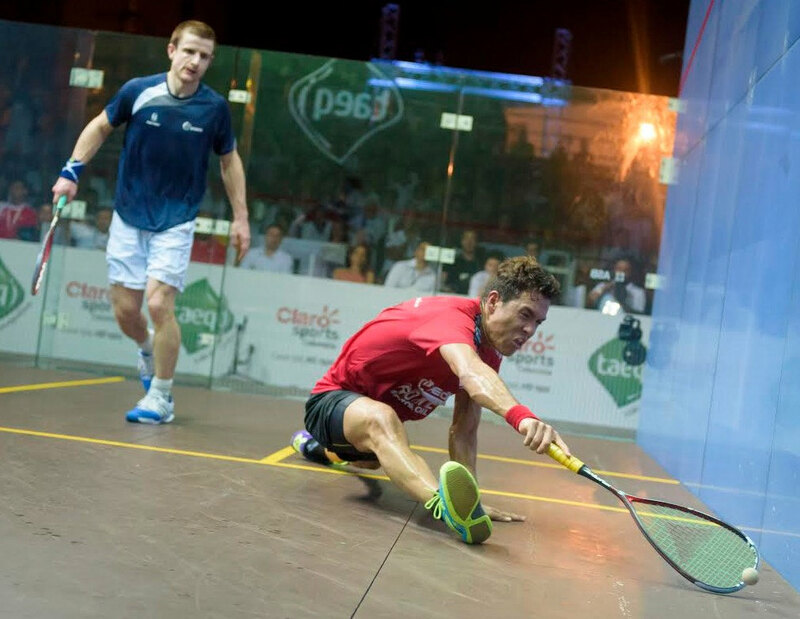 In the fifth I started to focus again and take things step-by-step, point-by-point and I’m happy to make it and reach the final." 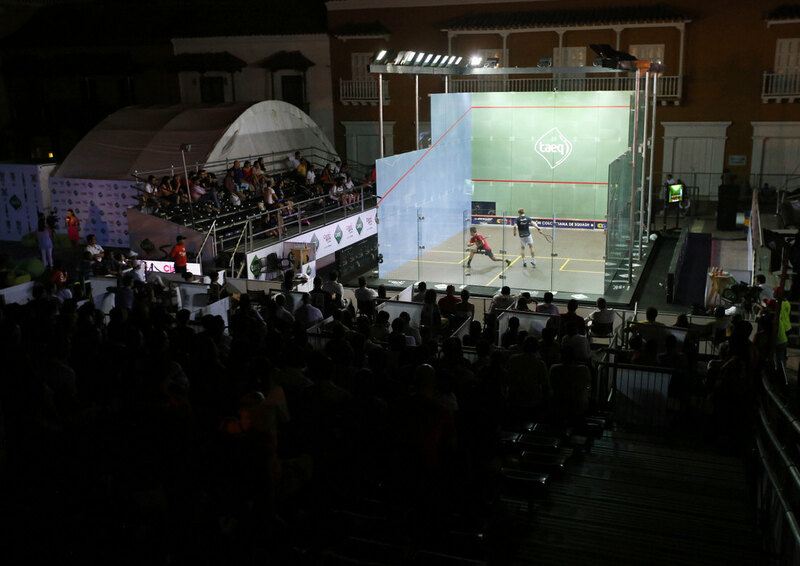 An Egyptian champion is guaranteed in Cartagena as Mohamed and Marwan Elshorbagy, Tarek Momen and Omar Mosaad all won their quarter-finals matches. 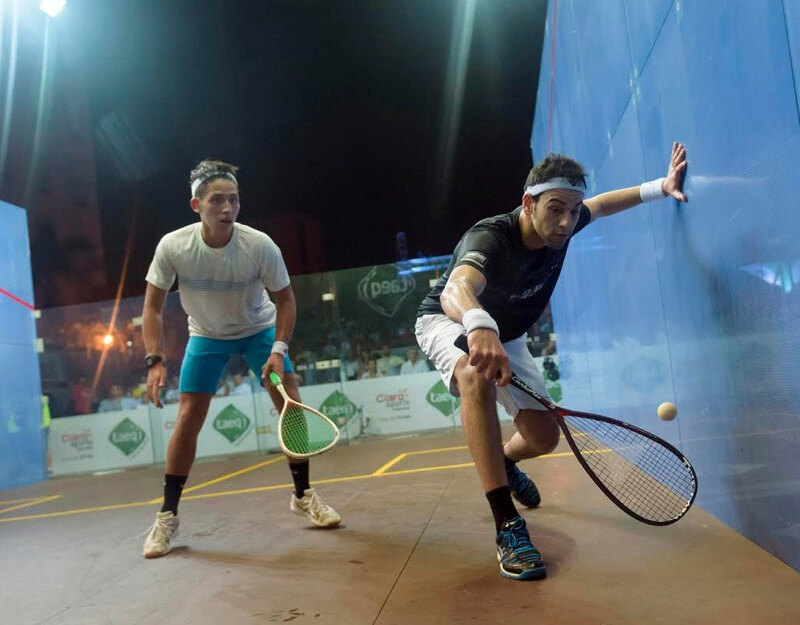 Top seed Mohamed Elshorbagy beat England's Tom Richards in straight games, and will face Marwan for a place in the final after the world #1's younger brother came from a game down to beat home favourite and third seed Miguel Rodriguez. 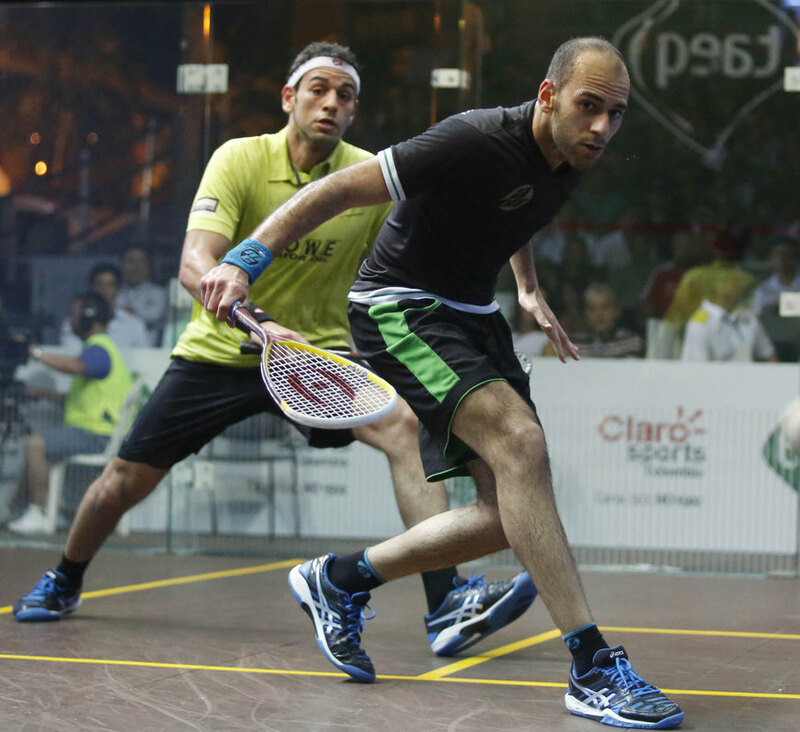 "I had to change my tactic every point," said Mohamed. 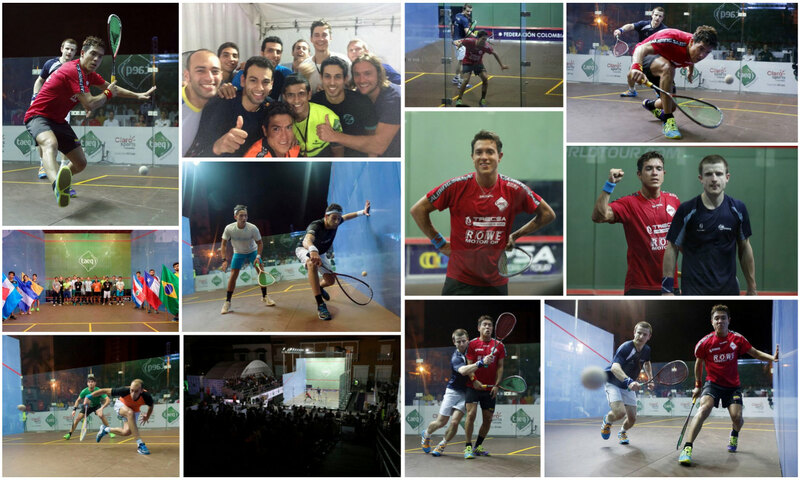 "The outside court makes the sport more interesting and it makes it more exciting. 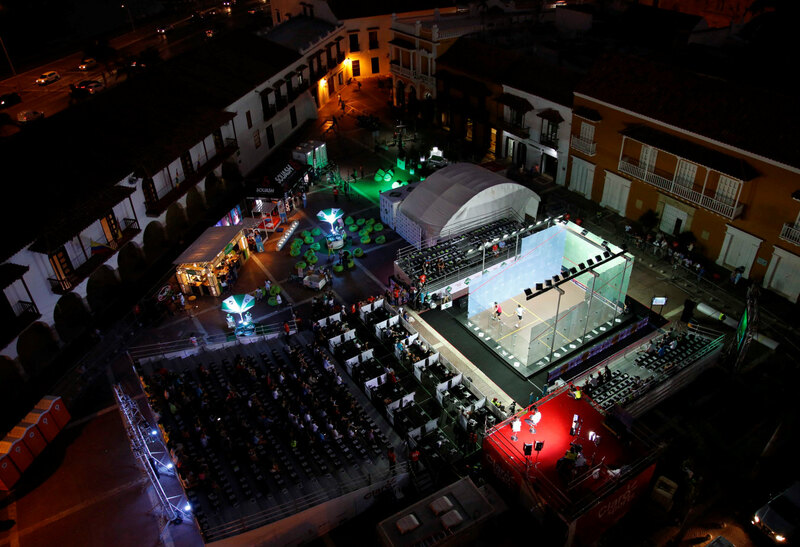 I absolutely love outdoor courts because I think that it makes things interesting with regards to how other players are going to deal with it mentally. 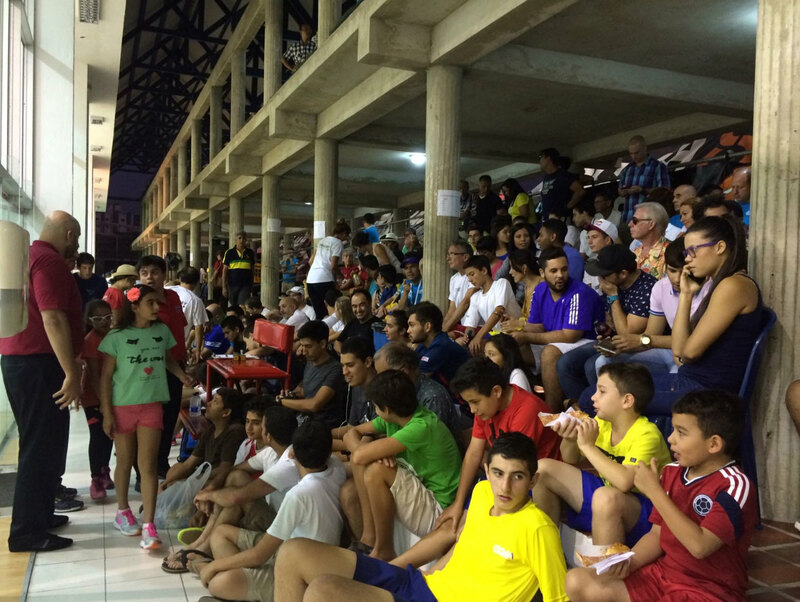 I’m really happy with how I adapted today." "It was my first time playing Miguel today," he said. 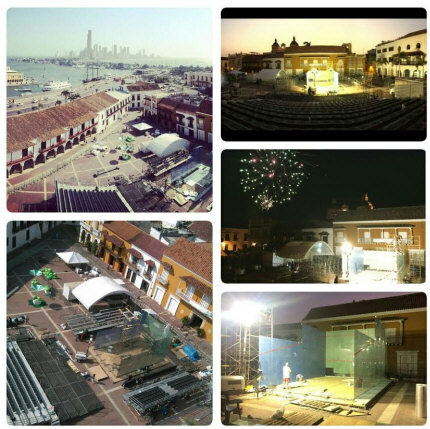 "I didn’t know what to expect, he’s done so much for himself. He is having a great career so far and everyone should be proud of what he has achieved here. What he has done is amazing and I wish I could achieve what he has already done and I’m sure he is going to achieve much more than this. 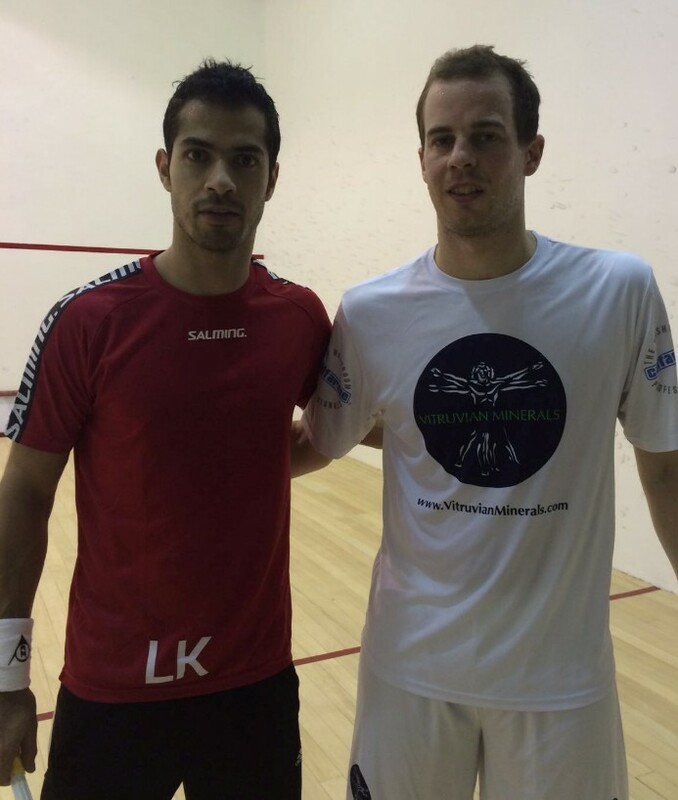 "It’s going to be a great match against Mohamed of course. We will both look forward to it and we’ve played so many times already. 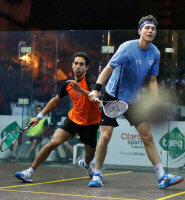 We will both give it everything and hopefully we will entertain the crowd." 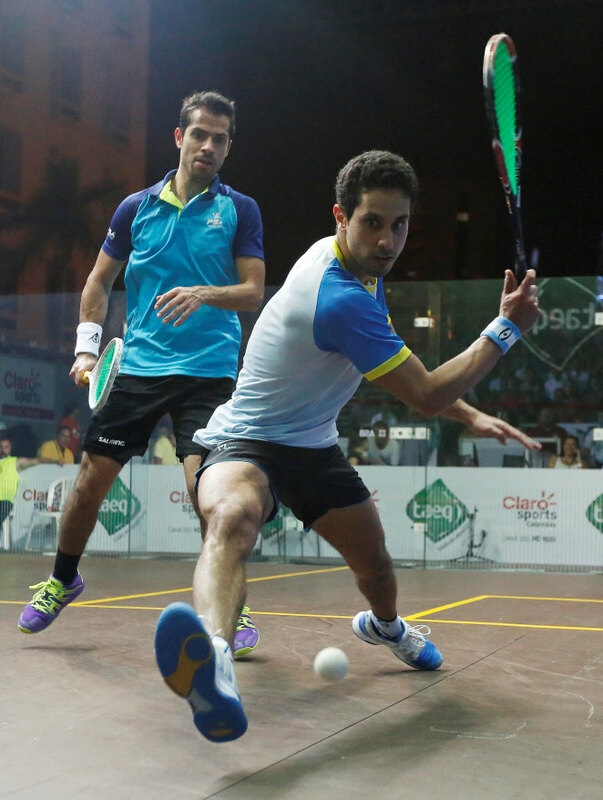 In the bottom half of the draw second and fourth seeds Mosaad and Momen beat Saurav Ghosal and Cameron Pilley, both in straight games. 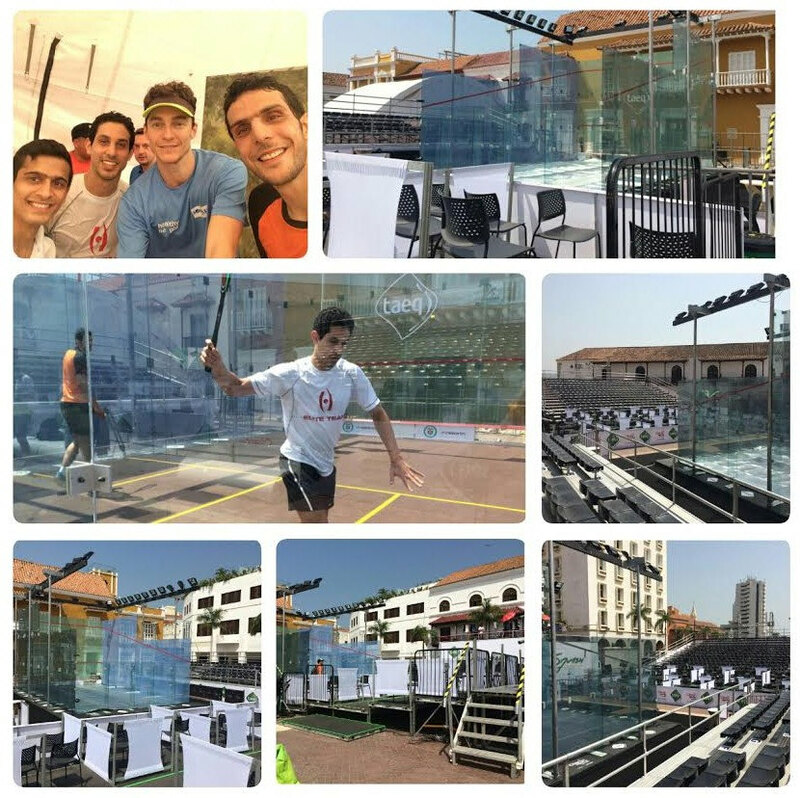 Indian World #20 Saurav Ghosal prevented a huge upset in round one bottom half after he came through an entertaining five-game battle against 19-year-old Peruvian World Junior Champion Diego Elias in Cartagena. 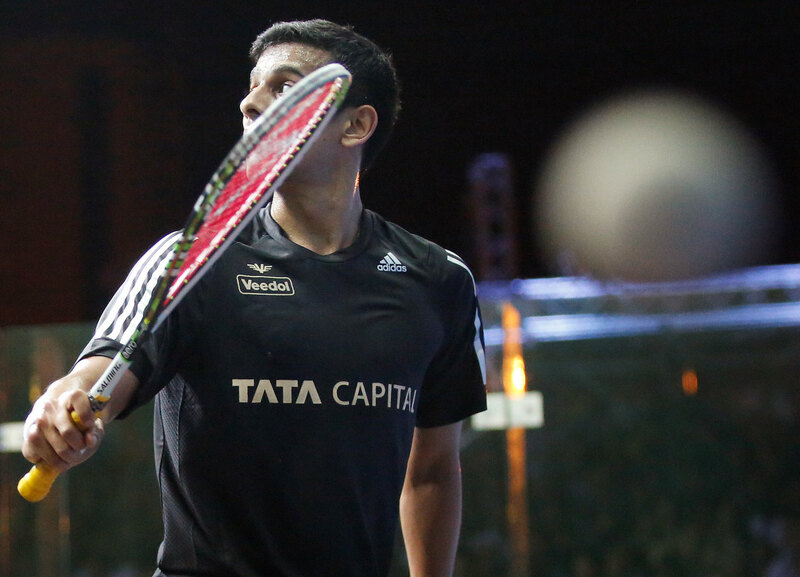 Ghosal’s experience and fitness eventually made the difference as the 29-year-old took advantage of a tiring Elias to close out the win with an 11-9, 2-11, 5-11, 11-8, 11-6 margin of victory. 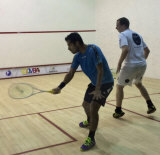 "Diego is a fantastic player,” said Ghosal. 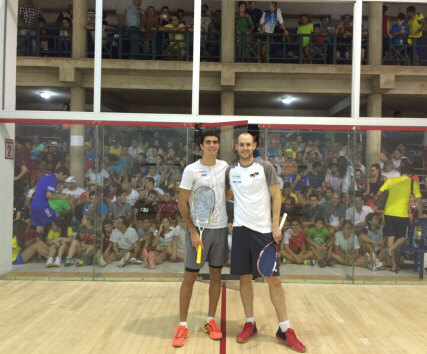 “He’s the reigning World Junior Champion and I’ve played him twice now in Colombia, both in Bogota and here today. 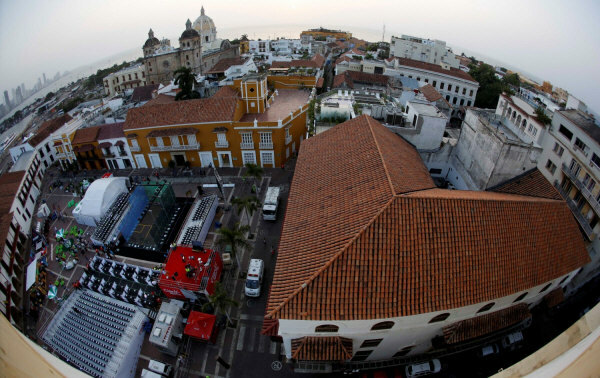 "It’s been absolutely brutal. 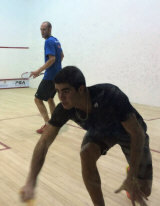 I had to get him off the ’T’ because he is so good across the middle of the court and he has very good shots. "It is similar to what one of my role models, Jonathon Power, used to do because he trains with him quite a bit. He’s an absolute handful and I’m sure that we are going to have a lot more matches together and hopefully we will entertain the people of Cartagena and everyone around the world like this every time." 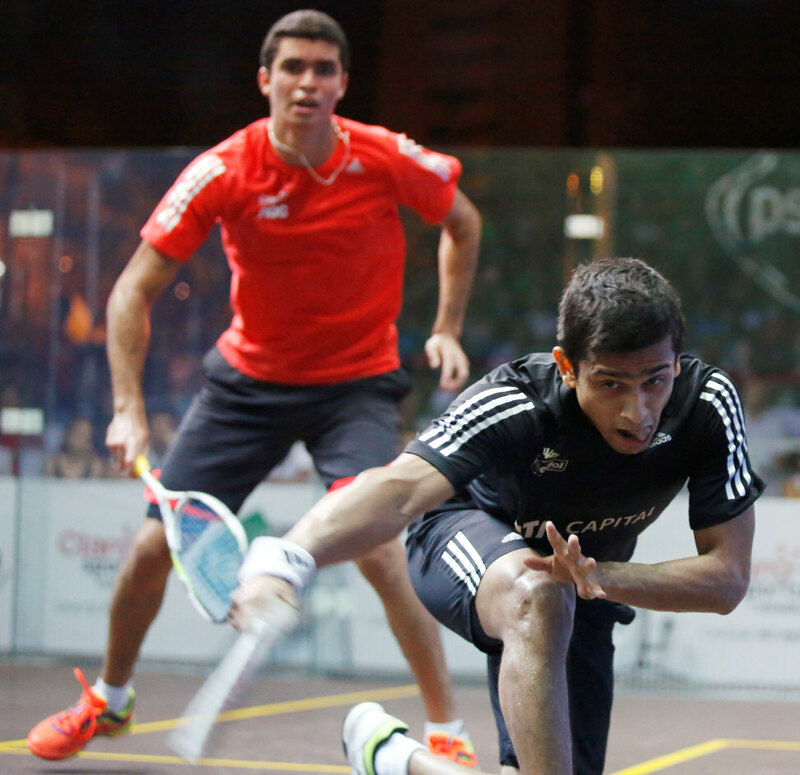 Second seed Omar Mosaad has also secured a quarter-final berth after completing a straightforward 3-0 victory over fellow Egyptian Zahed Mohamed. 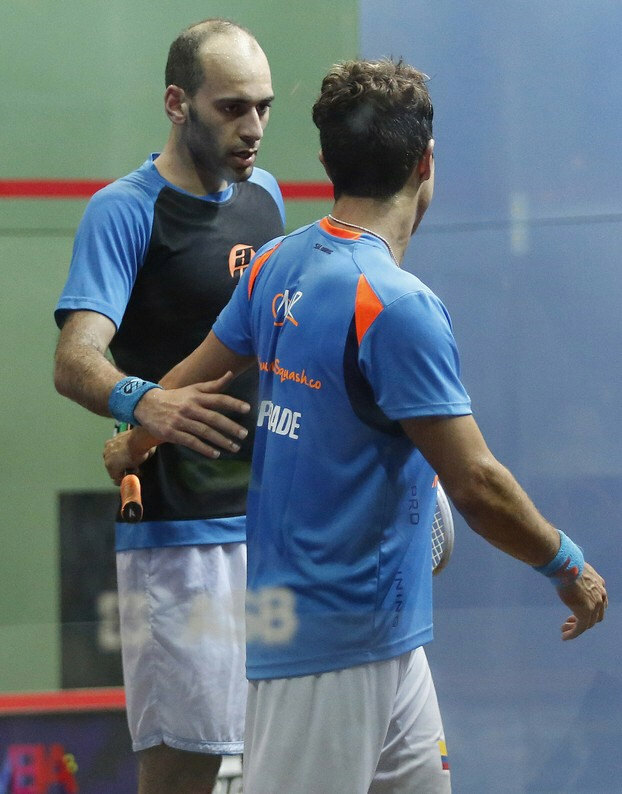 Despite a hard-fought finish to the encounter, the 27-year-old wrapped up the win by an 11-4, 11-4, 13-11 scoreline to advance to the last eight where he will do battle with Ghosal. "It’s really tough to play against Zahed, we usually train with each other and he is a talented player," said Mosaad. "To play against him is really hard so I tried today to play really well, especially in these conditions. 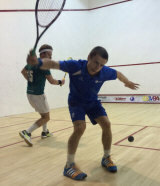 "I’m happy with my performance today. Maybe I could have focused more in the third game but I think that the key was that he changed his game a little bit in the third. 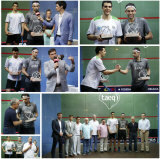 I tried to come back again and I’m happy to win in three." 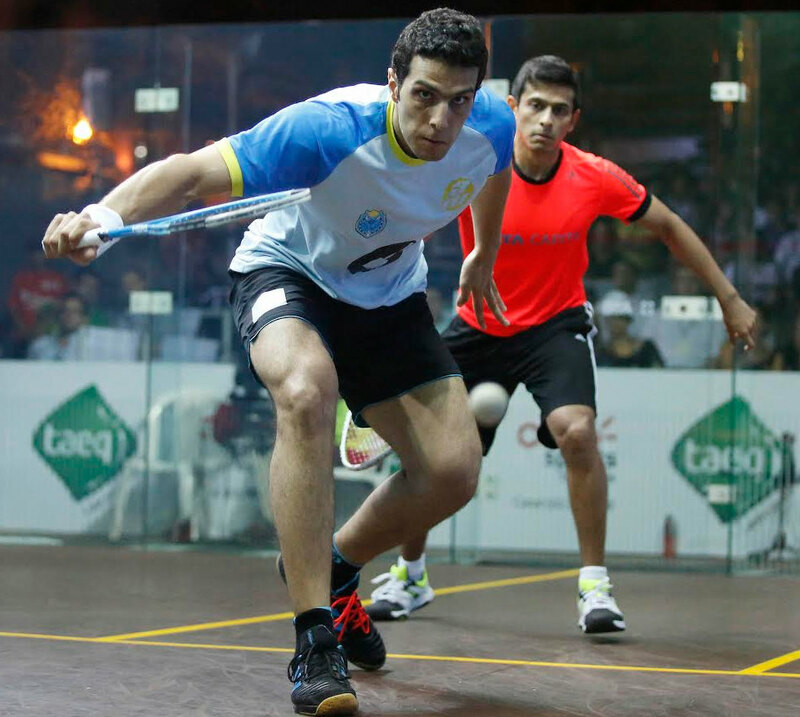 Egypt’s Tarek Momen also sealed his spot in the next round after coming back from a game down to beat tenacious Mexican Cesar Salazar. "Today I was very focused and I knew that I was playing a very dangerous opponent," said Momen. 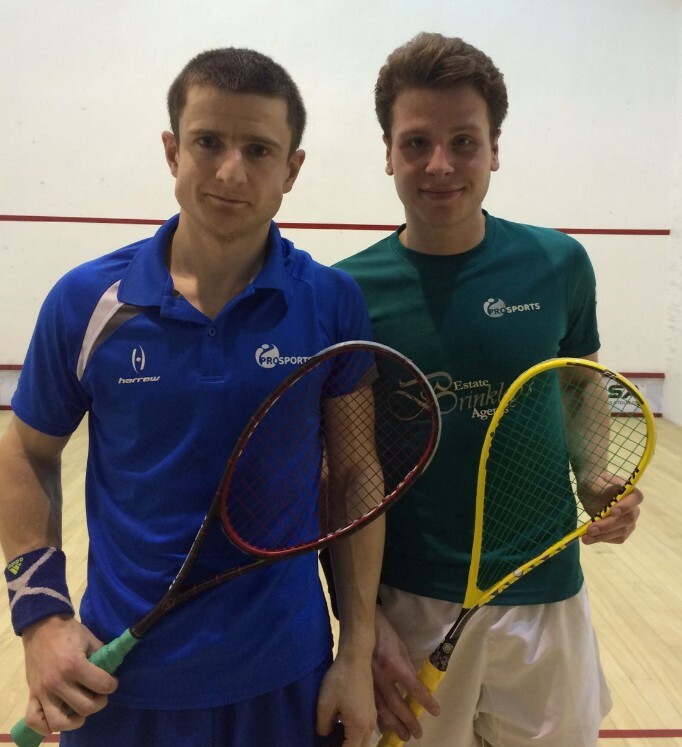 "I wanted to get my revenge because last time we played, he beat me 3-0. I was tired but the only thing that kept me going towards the end was the fact that I knew that he was tired as well. 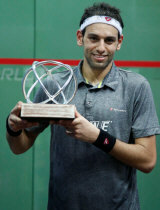 I’m very glad I won today, it was a very good match and I hope I can feel better tomorrow." Australian #1 Cameron Pilley advanced to the last eight after he powered past South Africa’s Stephen Coppinger. 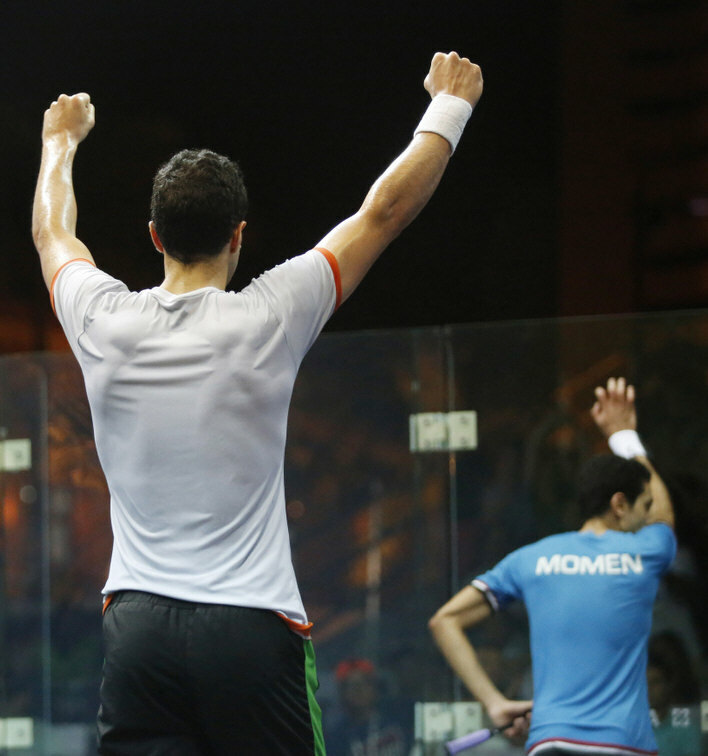 The World #14 will meet Momen for a place in the semi-final. 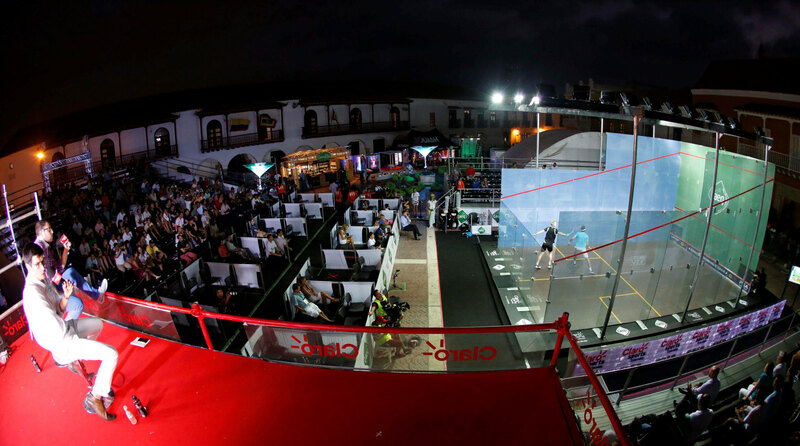 The main draw got under way in Cartagena with four matches in the top half which resulted in two straight game wins, two marathons, two Shorbagys through to the quarters and one upset. 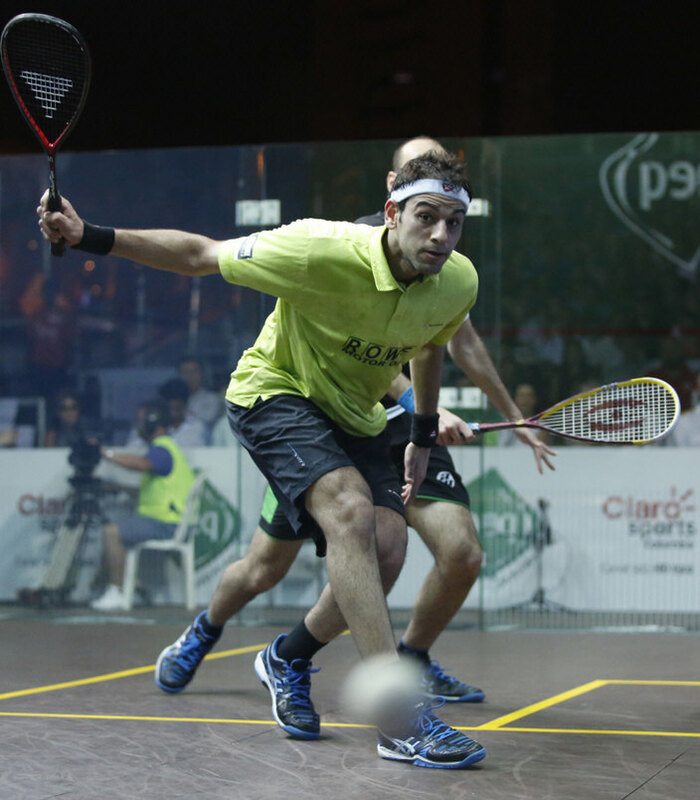 Top seed Mohamed Elshorbagy eased past wildcard Andres Felipe Herrera in straight games, but his younger brother Marwan, the fifth seed, needed all five games to get past Spain's Borja Golan. “I felt good on court today, it’s such an amazing venue,” said Mohamed. 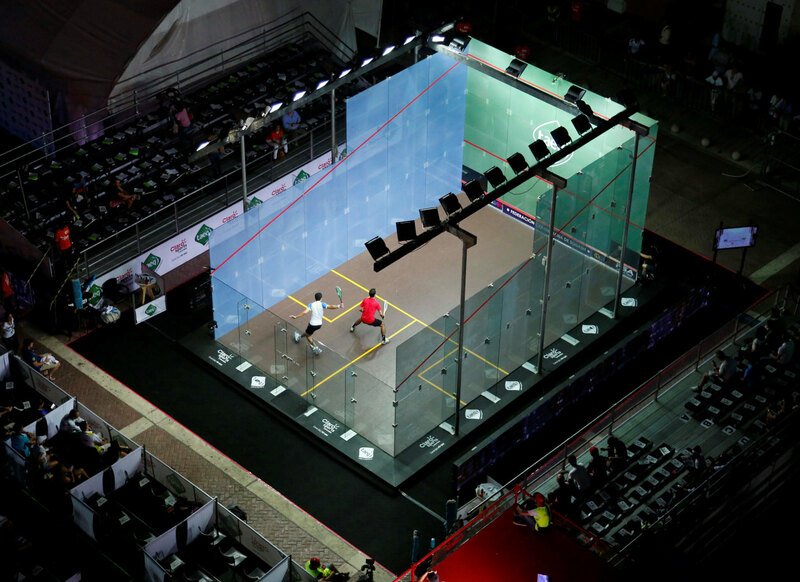 "There are so many great players playing this tournament, it’s a little bit humid and the conditions are hot so it’s a little bit tricky, but playing in different conditions is something that we all have to deal with." 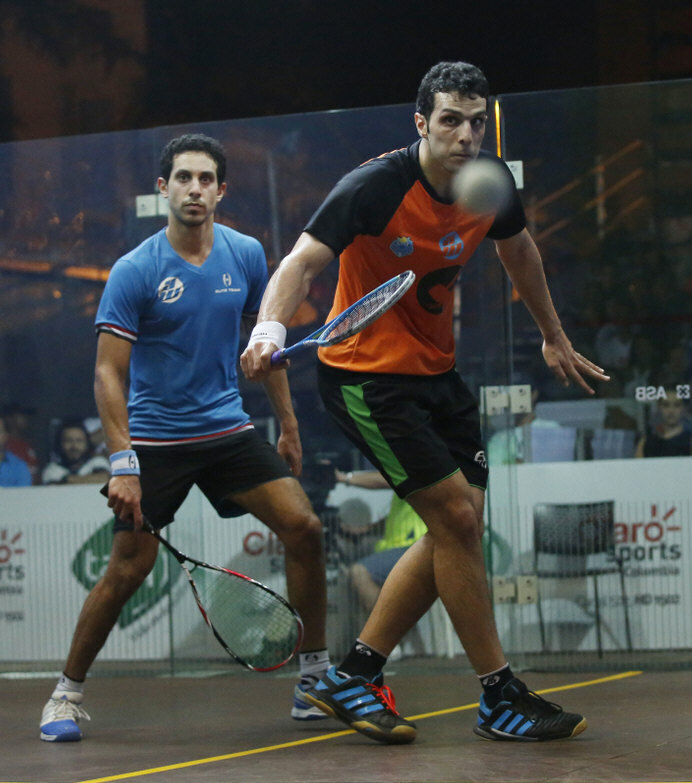 Marwan concurred: "It was tough for both of us out there," he said. 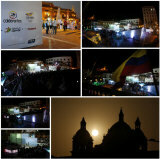 "The most important part of that was the mental part. I had to be mentally very strong today." 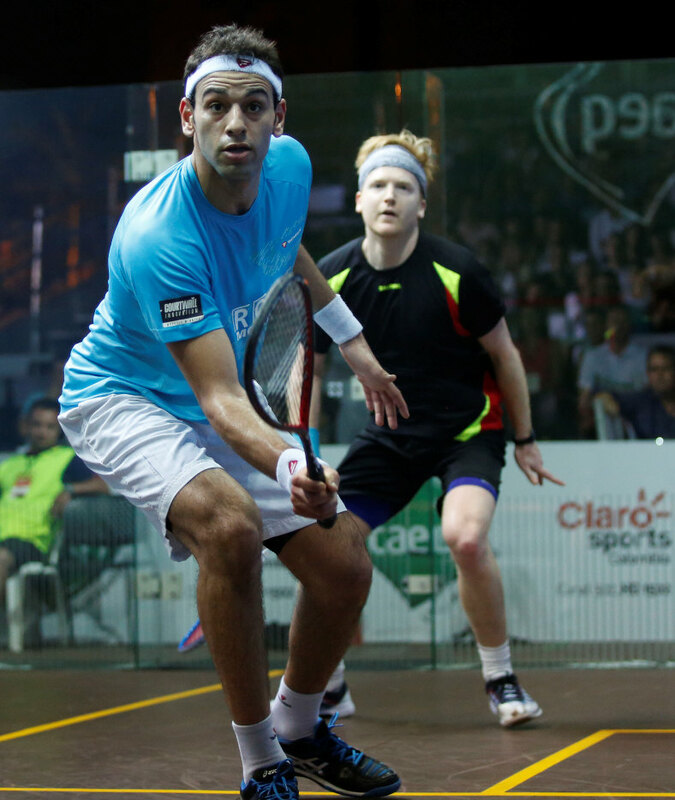 Mohamed will now face England's Tom Richards, who upset seventh seeded Aussie Ryan Cuskelly in straight games, while Marwan meets Colombian favourite Miguel Rodriguez, the third seed who also needed five games to get past Scottish qualifier Alan Clyne. 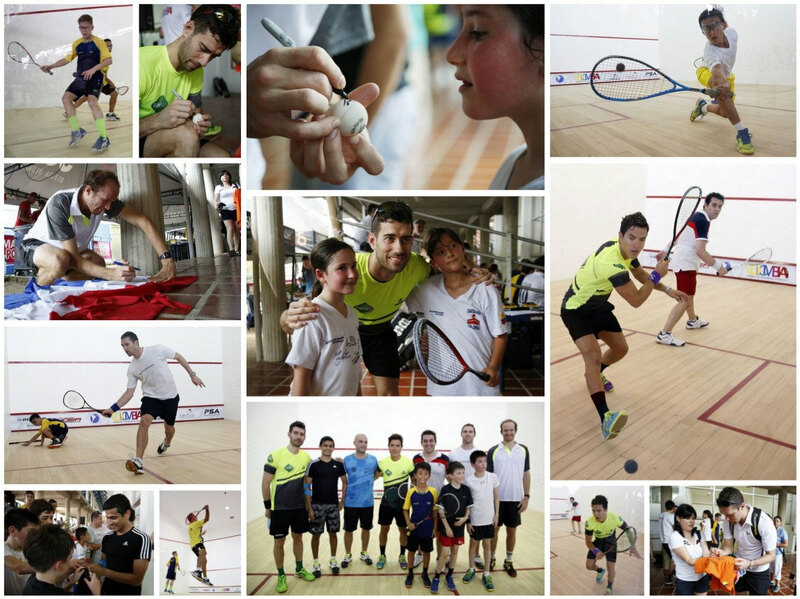 "It was a very intense match in difficult conditions due to the humidity," said Rodriguez. "All credit to Alan who played very well and he gave it his best tonight. 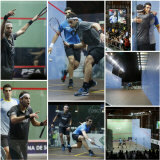 I’m pleased to win my first round and I’ve got a day off tomorrow before I battle in the next round." 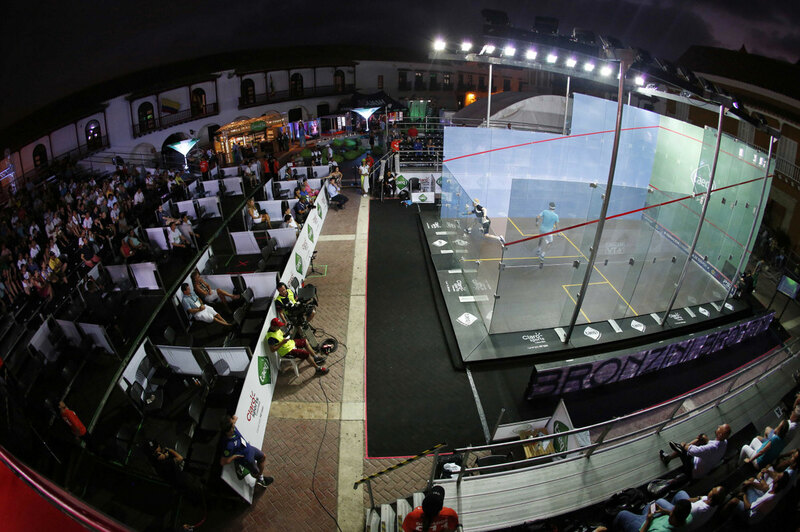 It was a good day for the American contingent in Cartagena as Peru's Diego Elias and Mexico's Cesar Salazar produced upset results in the qualifying finals. They'll be joined in the main draw by Scotland's Alan Clyne and Egypt's Zahed Mohamed. 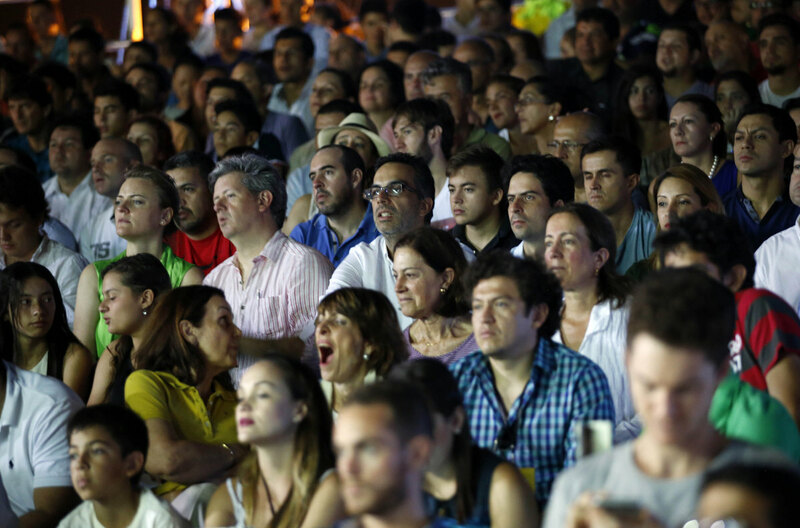 It was a match with history, last time they played Diego was leading 2-0 and Mueller overturned the score to win 3-2. 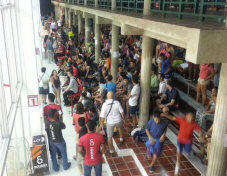 But this time the Peruvian was solid and had a very high rythm, and on the hot court,this made Mueller very uncomfortable, making a lot of mmistakes. Salazar was very fast, always getting his oponent off the T, and taking the key moments in each game. Clyne was very superior to his oponent, and with his faster movements he always managed to anticipate his opponent's moves. 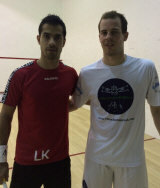 This was an extremely exciting match with both players showing incredible physical strength. 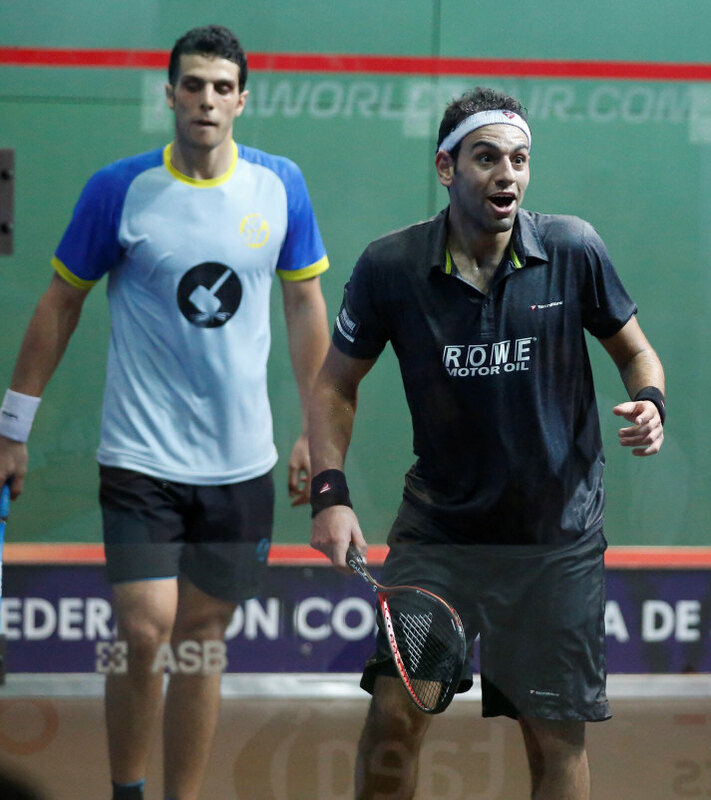 The Egyptian led 2-0, being very precise on his drops, but Alfredo never gave up any ball and Zahed started to feel the heat on the court, so the Mexican took the momentum to level the score at two-all and reached match ball in the decider. But Mohamed was patient and managed to save it. 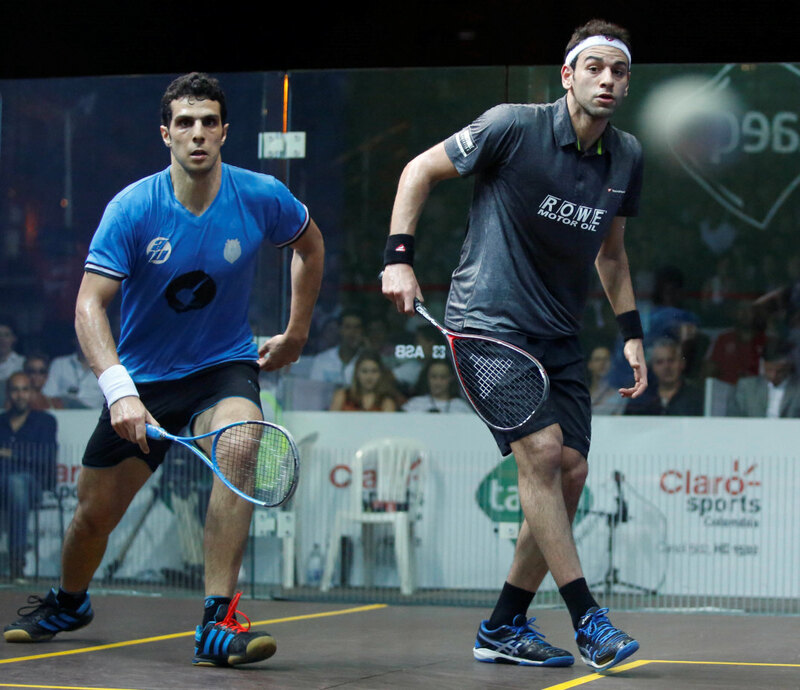 At 11-10, the referee saw a double bounce from Avila, a sad end for such an amazing match. 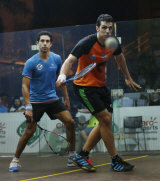 Match ball for Mohamed - can you tell ?? 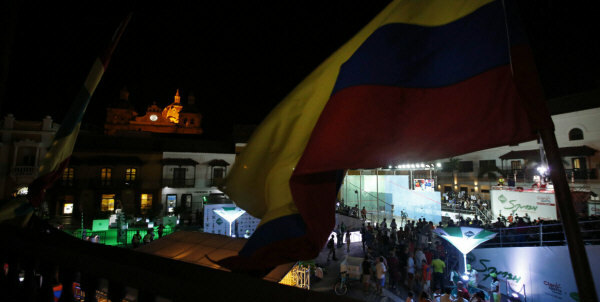 Qualifying for the $100k SquashColombia Open got under way in Cartagena with victories for all the higher-seeded players - and defeat for the three Colombian players. Whils six of the matches finished in straight games, top seed Nicolas Mueller had to fight back from two games down to deny Eric Galvez and Alan Clyne was taken to five by Arturo Salazar. 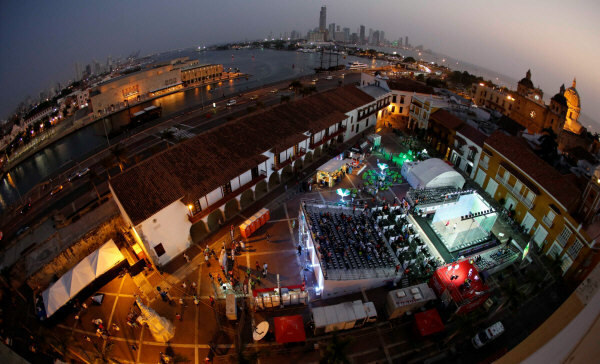 The draw for the first ever Colombia Open has been made and will see World #1 Mohamed Elshorbagy headline proceedings when the 16-strong tournament gets underway in the coastal town of Cartagena in February. 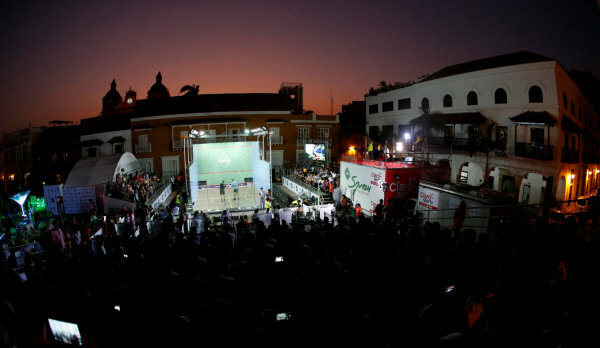 The tournament, the biggest ever to be staged in South America, will be the most lucrative 16-man event ever with $115k in prize money up for grabs and Elshorbagy will be favourite to take the title but will face stiff opposition in a draw which also includes World #4 Omar Mosaad, World #7 Tarek Momen and home favourite and World #5 Miguel Angel Rodriguez - the highest ranking South American player ever. 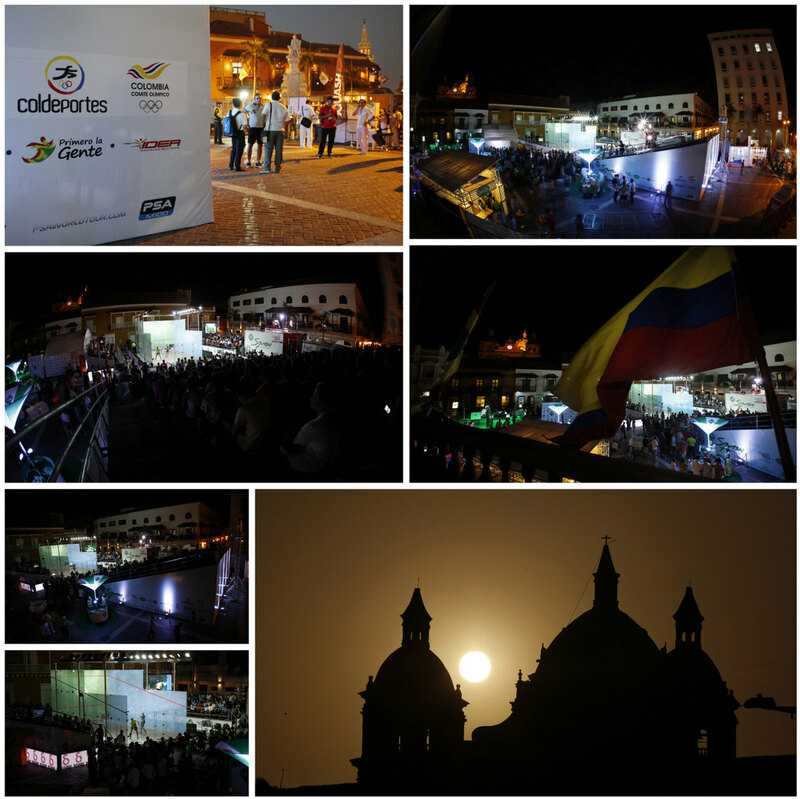 The 2016 Colombia Open promises to deliver a week of world class action when it all gets underway on in the stunning location of Plaza De La Aduana. 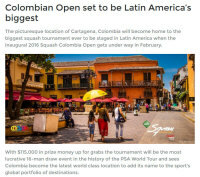 "Cartagena is one of the most picturesque cities in all of South America and we feel certain that the tournament, which will be played at sea-level, will become one of the most sought after on the PSA World Tour," said Squash Colombia President Pablo Felipe Serna. "As such we're delighted to see such a strong selection of players wishing to come here and compete in the very first staging of the tournament and very much look forward to watching some world class squash action unfold here over what promises to be a thrilling week."